Strtegically located within close proximity to several major arterial roads including The Cumberland Highway, the M4 Motorway, The Horsley Drive and Woodville Road. Yennora is a central western suburb of Sydney situated approximately 24* kilometres west of the Sydney CBD. Strong demand has driven a number of developments in Yennora. 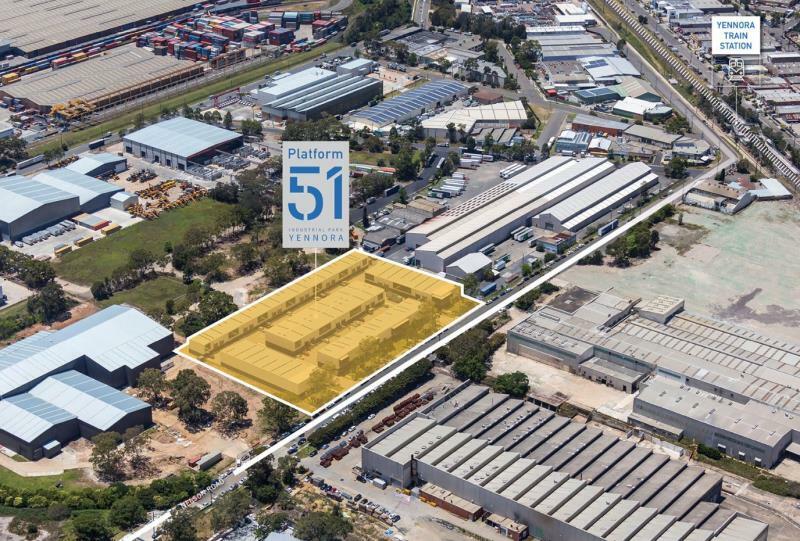 Platform 51 is Yennora's newest high quality strata warehouse and showroom development. Conveniently located 300 metres from Yennora Train Station. For a full information pack or to arrange an inspection please contact the exclusive agents. Given the current shortage of industrial units in this size range, we are confident that these units will sell quickly.